Auto transfer switch (ATS) has rated current of 100 amp, 160 amp and 250 amp available, 3 poles or 4 poles, with the function of full auto, forcedly switching off “0” position, remote control and manual emergency operation etc. Able to fast switch on and off the circuit or transfer between the power sources, to achieve the safe isolation. Suitable for operating in the distribution system of rated voltage 400V AC, 50Hz, and conventional thermal current up to 250 Amperes in the industrial enterprises. With the operation function of voltage detection, forcedly switching off “0” position, manual emergency operation, it is widely used to shift between normal power and standby power or two loading equipment, or perform safe isolation and etc. 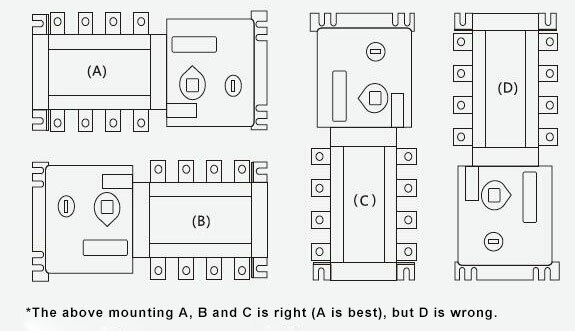 The control circuit board will govern the motor through logic commands, and then motor will drive the operating mechanism of main switches, quickly closing or opening or shift the lines, to realize the safe isolation of main switch obviously. when normal power recovers, ATS will auto-transfer back to normal power. Forcedly switching off “0” position Push “0” button forcedly, and ATS will cut off two loops of power supply. Push “0” button, and two loops of power supply will be cut off. 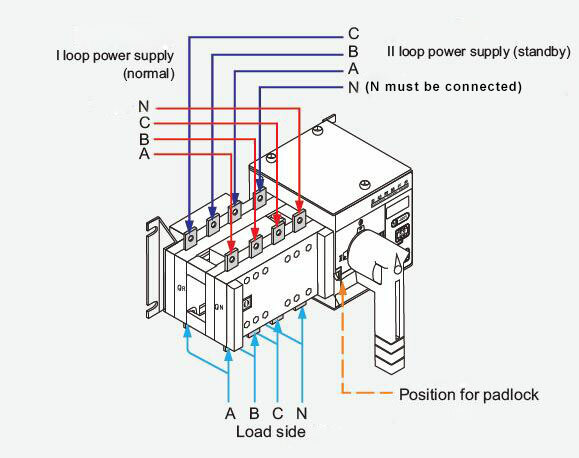 Tips: What is STS static transfer switch? STS static transfer switch is an automatic switching system of choosing one power source from two. When the first loop of power source fails, STS will automatically switch to the second one to supply power to the load (the premise is that the second loop is normal and it is basically synchronous as the first loop), and vice versa. It is suitable for the constant electricity changeover of any loop in UPS-UPS, UPS-generator, UPS-city power, city power-city power. All above power sources require the synchronous equipment, so as to require the basically synchronous of the two power sources, otherwise STS is unable to be changed over. STS static transfer switch is mainly constituted by the intelligent control panel, high-speed silicon controlled rectifier and the circuit breaker. Its standard changeover time is less than 8ms, thus it will not cause the outage of the IT-category load. It not only supplies power to the load reliably, but also guarantees the security of STS in changing among different phases. Good transfer switch, easy to install and use. Excellent product. Easy to install and easy to use. I have already made several times test and it worked as advertised. Very simple to transfer from the main to generator power and back.